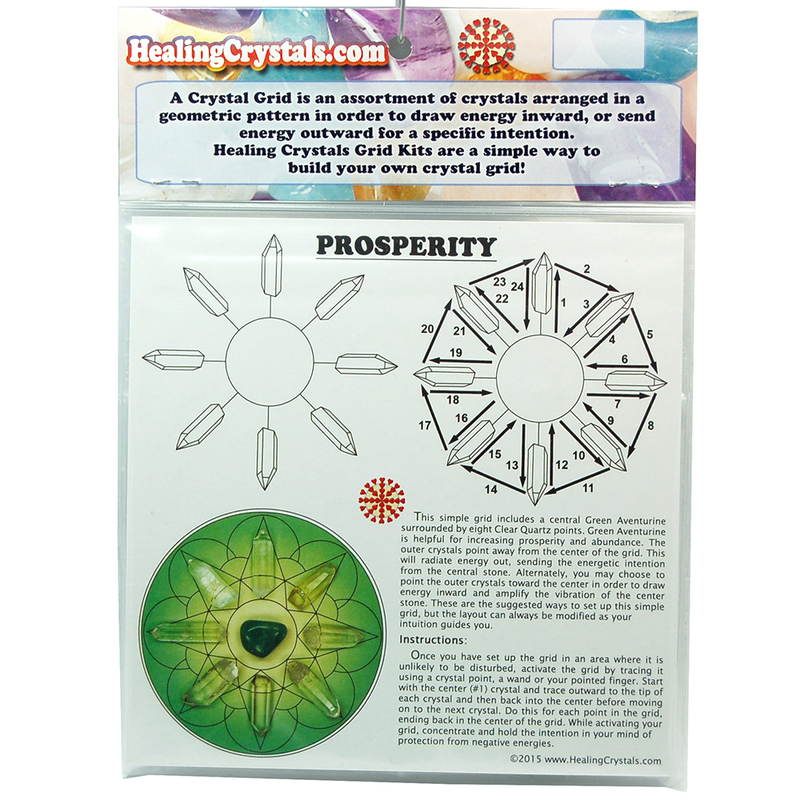 "So just to clarify; say I've created a prosperity grid to attract a steady increase in income, would I put the enhancing crystals facing the citrine point in the centre, or facing outwards to pull the energy in? My logic says they should face inwards because I'm attracting it to me, but there are so many sites with contradicting advice that it is difficult to tell." Thank you so much for reaching out! You ask a great question! The main thing that I like to remind people is that it is the power of your intention when working with grids, and I always suggest that you follow what your intuition is telling you. There really is no right or wrong way to activate your prosperity grid. You can have the energy radiate out from the center crystal - set your intention for the citrine point in the center to push its energy out with your intention. Alternatively, you can turn the points around and have them face the citrine in the center, asking for the energy to call in the prosperity you seek and amplify that center crystal. Remember, just go with how your intuition is guiding you!